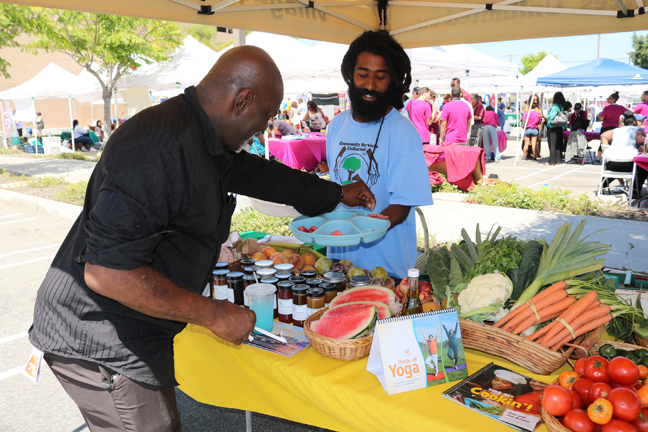 The West Angeles Community Development Corporation hosted the P.O.W.E.R community fair on August 29, bringing a host of community vendors, corporations and small businesses together to provide the public with helpful health, education and financial resource information. P.O.W.E.R, which stands for Possessing Our Wealth, Education and Resources, is an initiative that started as concerted effort to bridge the gap between small businesses, large corporations and community access to the bountiful resources available. 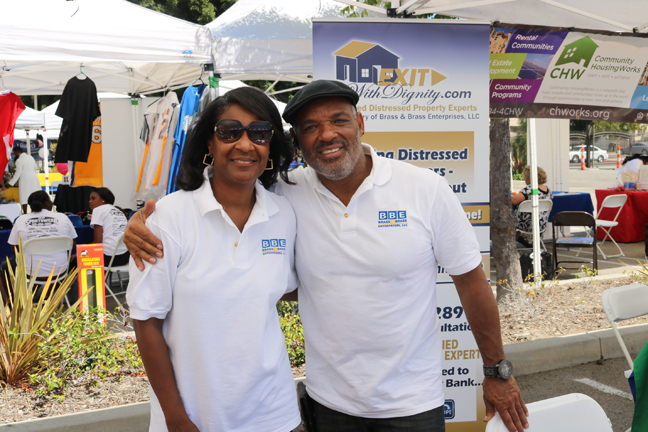 Organizations such as Bank of America, CitiBank, New American Funding, AARP, the Metro HEALTH Station, Community Services Unlimited and more set out to help those in attendance to take ownership of their financial futures and general well-being. C ompanies like Brass & Brass Enterprises, LLC and New American Funding provided community members with information about homeownership, the steps to getting prequalified and how to make your first time home buying experience a worthwhile investment. The family friendly event also featured live entertainment from gospel artists and Christian comedian, Karen Bankhead, as “Etta Mae Mumphries,” who brought a Kodak camera as her version of a smart phone to take photos of the lively audience. 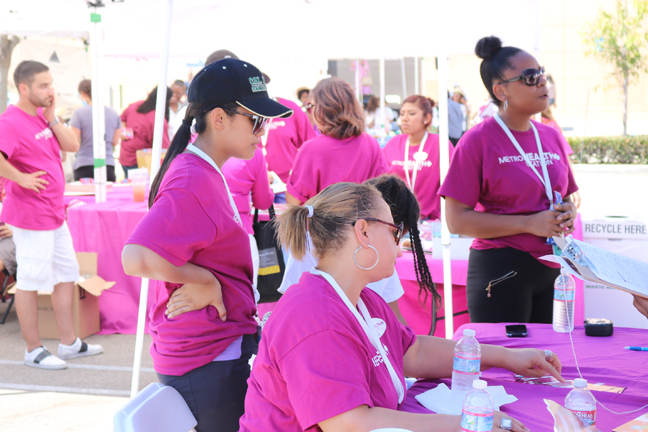 Carolyn Patton, event organizer and West Angeles a Community Development Corpora­tion Director of Housing, shared why building partnerships with such businesses is so important for the Los Angeles community. “We wanted to make sure the community knows what’s out there for them. There are resources and technical support out there to help them succeed,” Patton said. “This event is for all of us to come together, for us to support each other, not only West Angeles, but to go outside the four walls of the church to help our community. We are one,” Patton added. 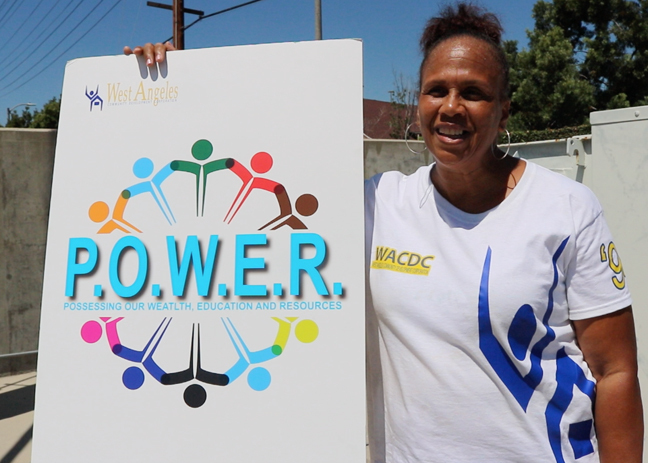 The P.O.W.E.R community fair, in conjunction with the West Angeles Community Devel­opment Corporation, continues to build strategic partnerships with progressive organizations looking to positively transform and build self-sufficient Los Angeles communities.